Based in Calangute (Goa), we render reliable Cruise Services to tourists and gift them a phenomenal experience. 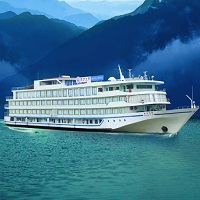 We have associations with various cruise lines that offer great services to you. The night time is planned with entertainment and every night something interesting is done. During the day time, you get the opportunity to go for excursions and explore new places. We make sure that you get such a great time at a best price. Shake hands with us to have a fun time exploring new places such as Punjim and Goa.